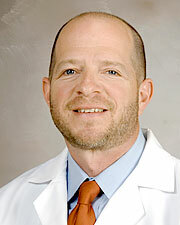 Michael D. Trahan, M.D., is an assistant professor at the McGovern Medical School at UTHealth. Board certified in General Surgery and a Fellow of the American College of Surgeons, Dr. Trahan specializes in bariatric surgery. He is a member of the American Society for Metabolic and Bariatric Surgery and the Society of American Gastrointestinal and Endoscopic Surgeons. Dr. Michael D. Trahan earned his medical degree from Texas Tech University Health Sciences Center in Lubbock, Texas, and completed his internship and residency at the University of Texas Medical Branch at Galveston, Texas. Board certified in general surgery and a Fellow of the American College of Surgeons, Dr. Trahan specializes in bariatric surgery. He is a member of the American Society for Metabolic and Bariatric Surgery and the Society of American Gastrointestinal and Endoscopic Surgeons. Dr. Trahan is an assistant professor of surgery at The University of Texas Health Science Center at Houston (UTHealth) Medical School. He has served as an assistant professor of surgery and co-medical director of the Center for Obesity and Metabolic Surgery at UTMB and director of bariatric surgery at the Martha Jefferson Bariatric Care Center in Charlottesville, Va.